• • • • H3a2a~ Z12711. Identical SNPs that were discovered separately are listed in alphabetical order, not necessarily in the order of discovery, and separated by "/". Example: M213/P137. On 24 Feb 2014 Haplogroup H was redefined slightly from its traditional definition. The new Haplogroup H is defined by the SNPs L901/M2939 and M3035/Z4329 and this newly discovered node is one step higher in the tree than is the M69 node, the previous node defining H. The old Haplogroup H-M69 becomes Haplogroup H1-M69 in the new scheme. The former Haplogroup F3-P96 is also under the new H, as is a newly discovered subgroup defined by Z5857 that will be named H3. This renaming will simplify the nomenclature for the early branches within Haplogroup F, and it will unify the major haplogroups of south Asia into the same overall haplogroup. It is important to emphasize that the former Haplogroup F3 has not been found to be a subgroup of the previous Haplogroup H-M69, nor has the new subgroup defined by Z5857, which would have been reported earlier as F*. There are a few other minor F haplogroups (e.g., F1, F2, F4) that have not been tested with respect to L901, so it is not known if their position in the tree will change. Listed 25 February 2014. P266 as listed in Karafet et al. 2008 has incorrect mutation information and is withdrawn until correct information is available. It was listed as a subgroup of Apt. Listed 15 June 2016. Y-DNA haplogroup H:The founder of haplogroup H probably lived about 30,000-40,000 years ago. This haplogroup has not yet been studied in a comprehensive manner. Today, nearly all members of haplogroup H live in the southern Asia subcontinent area. The Romani (also known as Gypsy) people, who apparently originated in India, are the main source of haplogroup H in western Europe. H2 is unusually common in Sardinia. Zhao et al, Presence of Three Different Paternal Lineages among North Indians: A Study of 560 Y Chromosomes. (abstract) Annals of Human Biology, 36(1):46-59, 2009. 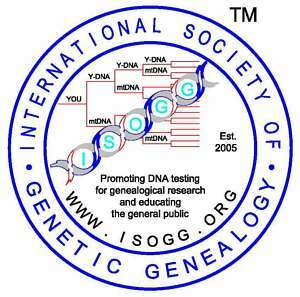 H Haplogroup Project, Donald Locke.